That means crane maintenance should be at the forefront of any strategic planning since having either replacement crane parts or replacement crane accessories quickly available expedites solving the problem of any work stoppages caused by equipment issues. Certain cranes, such as crawler cranes, are especially vulnerable to problems related to weather or simple wear and tear. That’s why having quick access to crawler crane parts can alleviate the potential of rusting cranes slowing production to a standstill, which leads to added costs and lower profits. Many businesses that are just getting started, regardless of the product they sell, may offer a lower price or eye-catching discounts to entice companies. However, that price often comes with a smaller network or less knowledgeable staff. 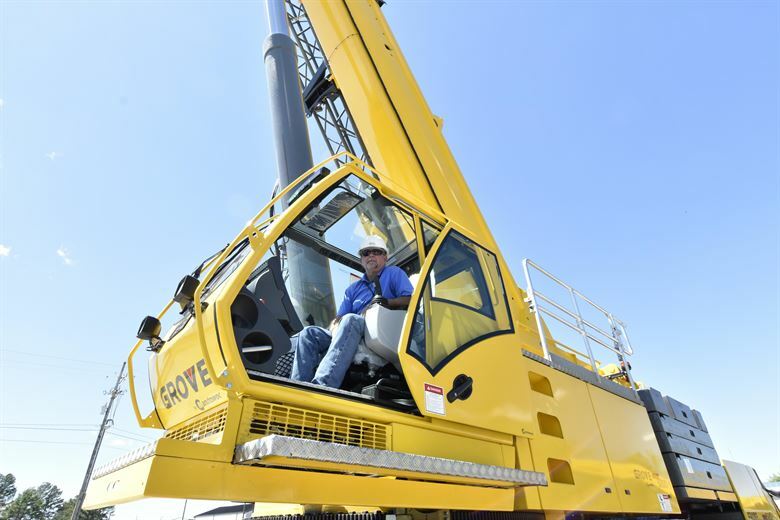 Therefore, it’s important to work with a company that deals with the major players in the crane industry and has plenty of experience in knowing what their customers need. The cost of repairing a crane is costly in both the time lost and the actual expense of getting it fixed. That means performing some preventative maintenance before any issues develop will reflect positively on your bottom line. These can come after a regular inspection has been performed, where you may see one minor area that needs a little tweak. By quickly contacting a replacement crane parts dealer, the potential danger zone is eliminated. When dealing with the crawler crane, knowing which crawler crane parts require careful attention when it comes to maintenance can save time and money. The structure and accessories for cranes, the wire rope, the hydraulic systems, as well as the monitoring devices and control mechanisms stand out as the most prominent areas to focus on. Some companies are content to sell parts that are either copied or re-manufactured from the original. Such practices lead to additional service calls that can wreak havoc on a company’s bottom line since the parts in question aren’t the best quality available. Therefore, OEM parts should always be a part of any crane maintenance program, and one easy way to determine just how knowledgeable a company comes in regard to whether they know what “better than OEM” refers to because if they don’t, you’ll save money by looking elsewhere. When performing any maintenance, it helps to keep a written record of each instance of when it was performed and whether replacement crane accessories or parts were needed. That way, those in charge can properly craft a consistent timeline in which to order those parts and accessories. Recordkeeping helps eliminate unnecessary inventory and frees up money for other purposes. 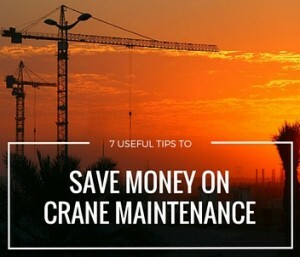 That maintenance and recordkeeping can also play a key role in making sure that any investment related to cranes can be properly budgeted beforehand. Nothing’s worse than having your budget blow up because of an unexpected expense that requires paying a premium to handle a badly needed part or accessory. Knowing when such products are due to either be upgraded or replaced outright helps cushion the overall expense. Making sure that the individuals fixing your crane equipment have been duly trained in the proper manner not only sharply reduces that chances of an accident taking place, but also keeps money in your pocket. That’s because the safety steps that are taken by these professionals will be duly noted by insurers, which results in lower premiums for this potentially dangerous work. Craneco Parts and Supply has been handling issues related to replacement crane parts for more than two decades, so they have the experience and inventory to handle the needs of the crane industry. That’s why they have a solid relationship with the most prominent companies and have a network set up to ship any parts or replacement crane accessories out as quickly as possible. So when addressing the issues above, save some money by working with Craneco. Contact us today if we can be of any assistance.